Sometimes I tell you about a spot in the hopes that it might inspire you to visit someday, on a trip to Paris or France. But this is a story of something I know you will never visit, a tiny little lane in a tiny little village half an hour from the nearest train station in the middle of nowhere. And yet its name suggests it would be something far grander: The Royal Road. Le Rue Royale, in the Vendée, an area on the Atlantic coast of France, has a very grand name for something so tiny. The explanation is that King Louis XIII, father to his much more famous son, Louis XIV, visited this territory of his in 1622 and strolled down the lane. He was probably heading to a rendez-vous at the local chateau, which you can see at the end of the lane. It may no longer be welcoming heads of state, but it just may be the loveliest little lane anywhere in France. Frankly, it may just be the loveliest little lane anywhere in the world. It looks like a movie set for a fairy tale film: adorable, charming, inviting. It's only about 30 meters long (100 feet) and goes from nowhere to nowhere, yet I walk it a dozen times and photograph nearly every inch, from the top looking down and the bottom looking up. The "big" road on the other side of the small houses was originally named rue Saint Samson, after the old parish on the left bank of the local river. It was, and still is, lined with houses, which back onto the tiny lane. In the olden days, many of these were old workshops and businesses. But today they're mostly cozy residences adorned with flower boxes and a profusion of gardens, especially impressive for a place with no official garden space. Without a doubt, this little lane is fit for a king. 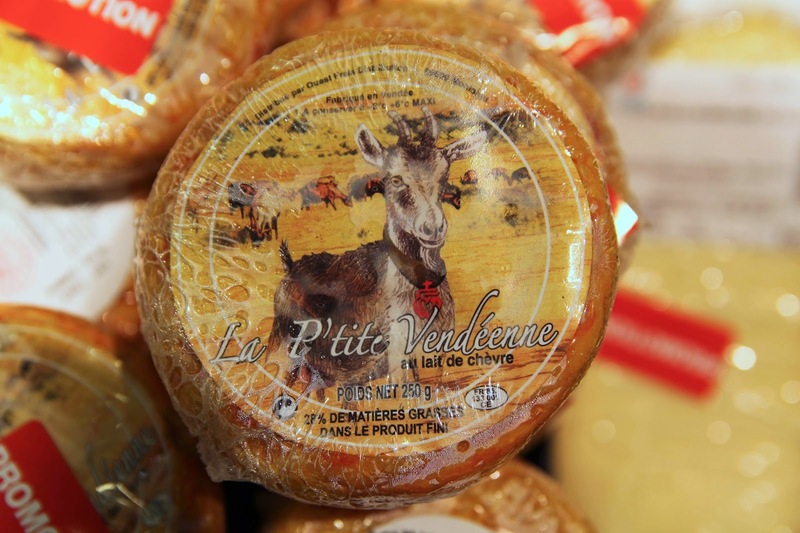 La P'tite Vendéenne is a cheese made from pasteurized milk, predictably, in the Vendée. Looking at the packaging, you will not be surprised to know that it's made from goat's milk. It's got a washed orange crust, the kind of orange, slimy, and stinky you get once it's been regularly washed during the aging process with salty water. 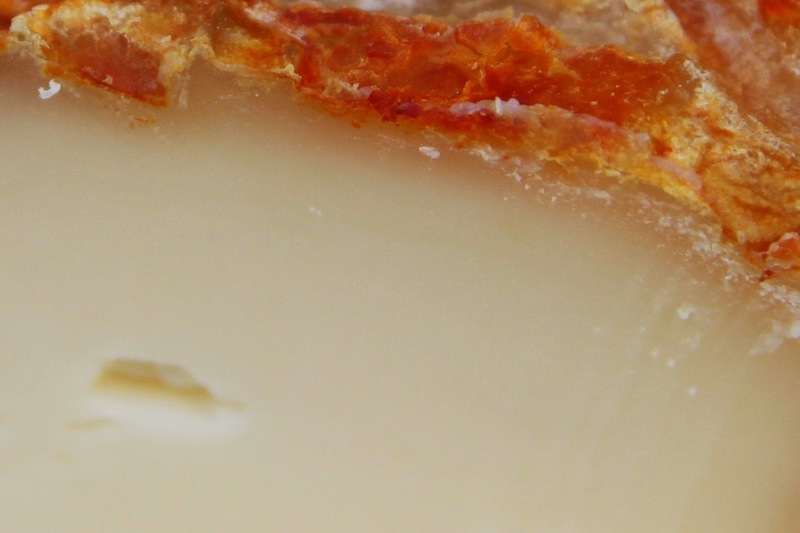 The taste is, like many of the Vendée cheese we try (which are mostly pasteurized, seemingly industrial -- or at least very commercial, but mostly cow's milk), mildly stinky but not notable with a somewhat rubbery texture. Thank goodness for grocery store samples, so I don't have to buy it, because it's just not my favorite. 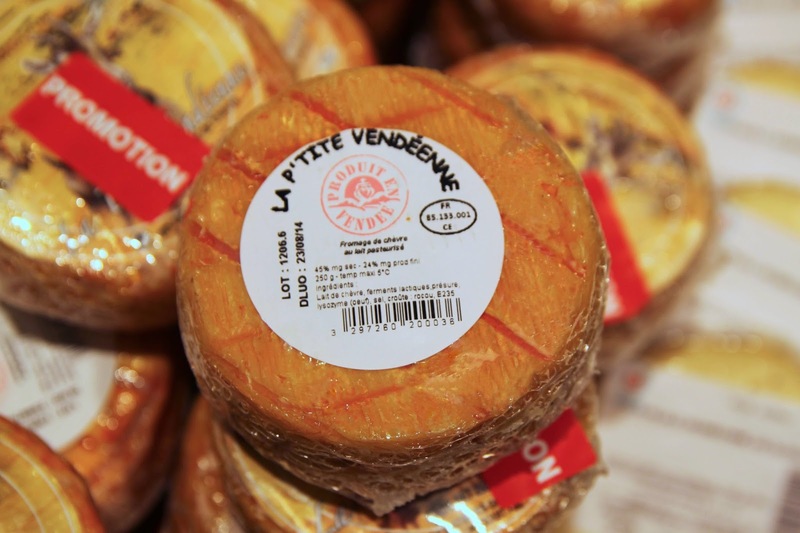 Both the lane, and the cheese, are petite and Vendéenne. But in this case, I'd take the lane over the cheese.